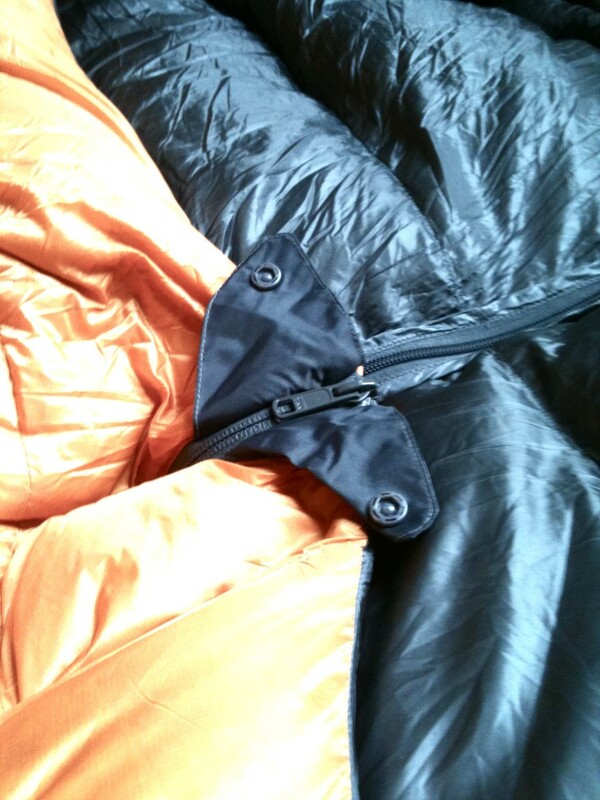 Today, Kat and I did the most romantic thing a couple can do: purchased sleeping bags that zip together. The Macpac bags happily zipped together! – We can use one stuff sack rather than two. The XL bag is slightly longer to accomodate my bigger frame. The difference in size doesn’t affect the ability for them to zip together! – There is lots of room to sleep apart, for times when it is warm and we don’t want to brush shoulders. 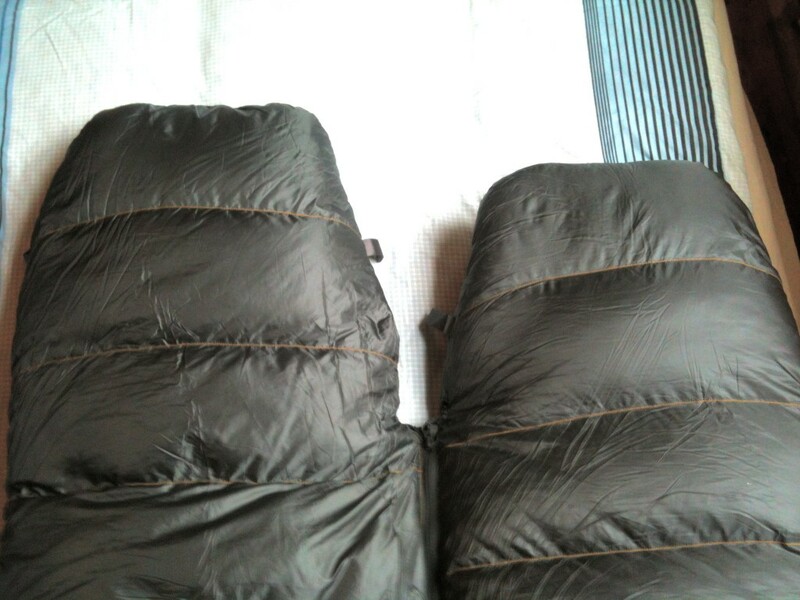 – Use sleeping mats that are the same thickness. 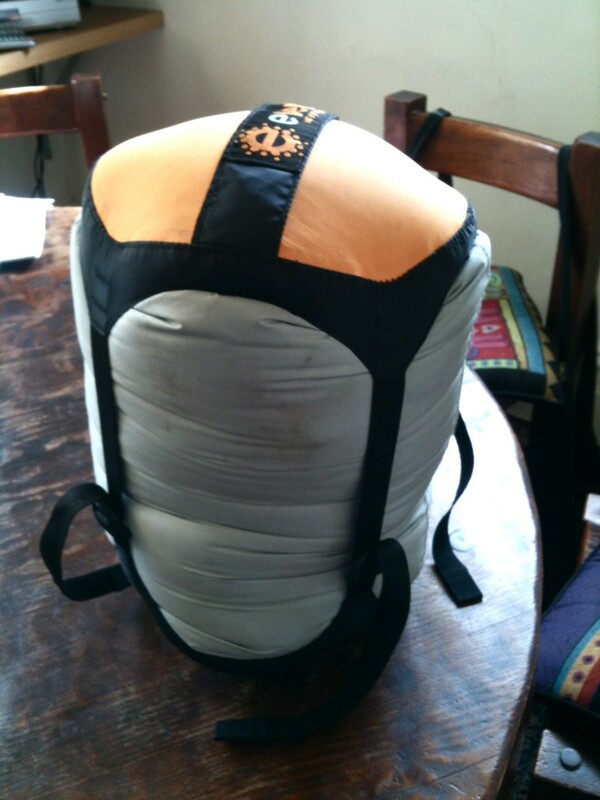 The two bags are weighing 1850g inside this medium Sea to Summit compression sack! Including a waterproof stuff sack, our bags are sub-1900g – which is actually around the same weight, temp rating and size as Kat’s previous sleeping bag alone. 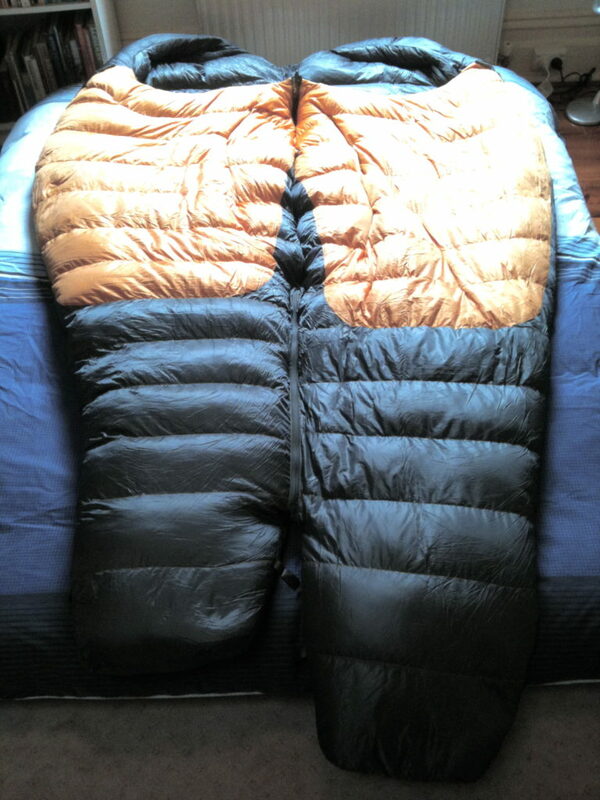 It is worth noting that often extra long sleeping bags are only available in a right hand zip. This means that the smaller of the bags must have a left hand zip. We were surprised to find out that although our bags are different lengths, the zips on both of our Macpac bags are the same length, leaving no exposed zip thread. On the Macpac bags, the zips finish at the same point even though the bags are different sizes! Although we have’t spent much time in our bags together, we are confident that we are on the right track here. 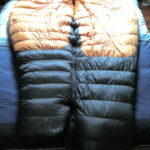 It will be most beneficial in cooler countries where we will be able to share body heat, as well as snuggle together. As we generally share sleeping space in a double bed, we believe that even after extended periods of time on the road, being ‘zipped together’ will make camping feel more like being in our own bedroom, and less like tent-sleeping. Not that camping is a bad thing though, as I cannot see myself getting sick of it… but now I’m imagining the first night when we sleep alone will just not feel right anymore.